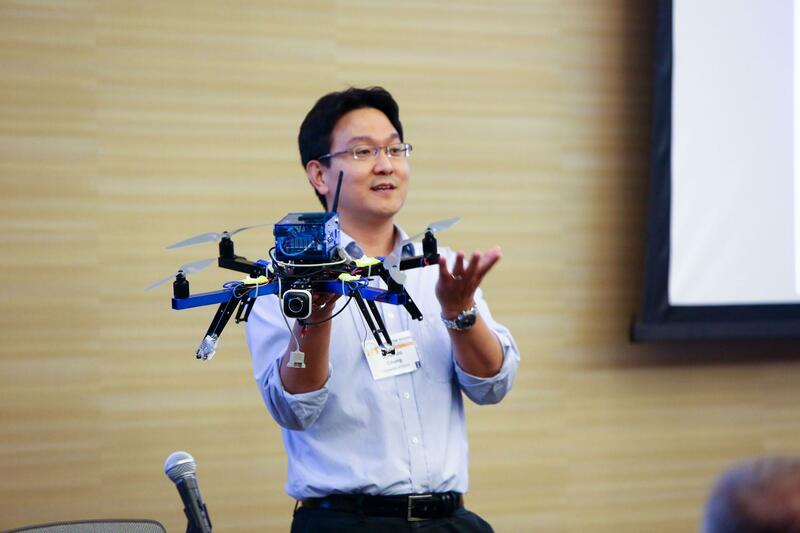 Aerospace Engineering professor Soon-Jo Chung holds a quadcopter while speaking at Share the Vision 2013, an annual research and start-up showcase sponsored by the Office of Technology Management and EnterpriseWorks. The University’s pipeline of innovation flows stronger each year. To highlight this research, the fourth-annual “Share the Vision” technology showcase will connect researchers and start-ups with potential investors, companies and venture capitalists. Hosted by the Office of Technology Management and EnterpriseWorks, this year’s event will take place on Oct. 8 at the I-Hotel and Conference Center and EnterpriseWorks. This year, 18 faculty and startups from two separate tracks — healthcare and robotics/computer vision/network security — will exhibit their research and progress through presentations. New this year is a lunch-time poster session, where emerging start-ups will present information and demonstrations. 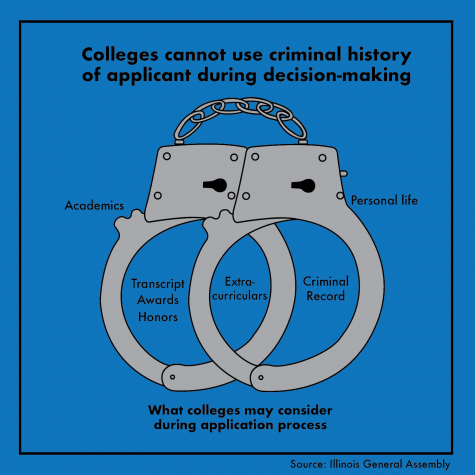 Participating companies include Google and IBM Research, as well as members of the University, local venture capitalists from the Chicago area and local community members. Dhar said Share the Vision’s goal is to establish as many connections as possible by heightening visibility around the University’s pipeline of innovation. Paul Braun, Ivan Racheff professor of materials science and engineering and affiliate of the Beckman Institute for Advanced Science and Technology, said he hopes to build these connections at the event. Braun will present his group’s progress on creating sensor materials for extended, continuous glucose monitoring. He said his group has created a material whose volume changes linearly with blood-glucose levels. 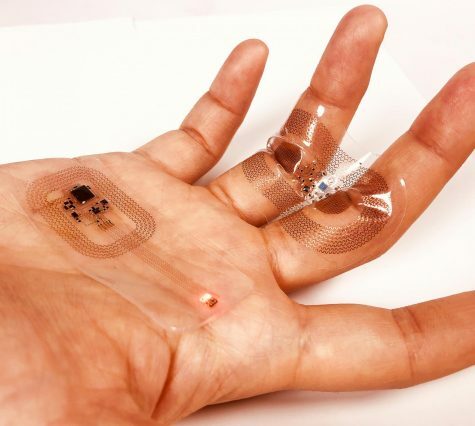 Currently, diabetics have a few options for glucose monitoring, such as the traditional finger prick, which instantaneously gives a blood-glucose level. There are also meters that provide continuous levels, but this method is not completely accurate. This research could offer a solution to the growing diabetic population in the U.S. and worldwide. According to the Centers for Disease Control and Prevention’s 2014 National Diabetes Statistic Report, 29.1 million people in the U.S. have diabetes. Braun said events like “Share the Vision” give him an opportunity to connect with partners who may be able to help him turn his vision into a commercial success. Braun also explained that Share the Vision is a valuable resource for faculty like him who do not have regular contact with the outside entrepreneurial community, since C-U is somewhat geographically isolated. Bringing the world to the University is just what Share the Vision aims to achieve. The University of Illinois system was recently ranked as the world’s 21st most innovative university system by a Reuters study. Nicole Nair, assistant director for marketing and communications at the Office of Technology Management, said this ranking adds to the significance of this year’s event.